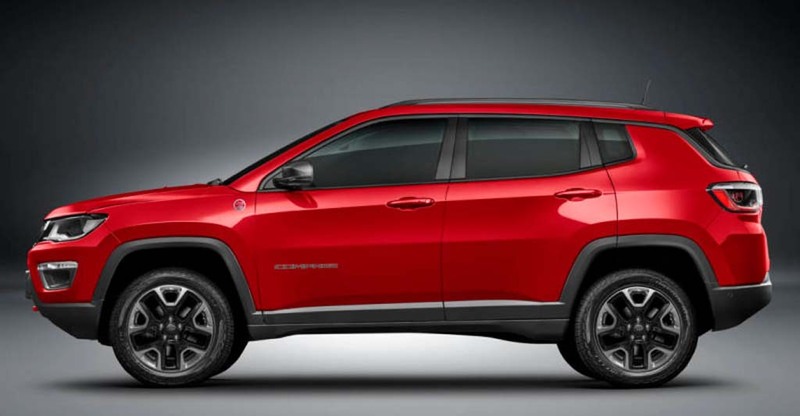 The American SUV manufacturer JEEP is exporting the made-in-India Compass Trailhawk to overseas markets like Australia and Japan. It is expected to be launched in India in the coming weeks as the range-topping model. Bookings have commenced for initial payment of Rs. 50,000 across select dealerships in India reportedly. Deliveries are likely from next month onwards. It gets different looking alloy wheels compared to the regular model. Improved off-roading Ie :- better angle of approach at 30 degrees, breakover of 24.4 degrees and departure of 33.6 degrees. The Jeep Compass Trailhawk is equipped with underbody skid plate. 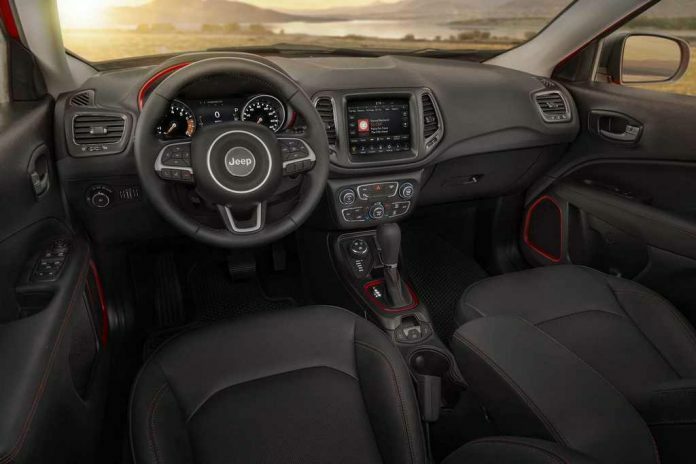 Comes with Jeep’s Active Drive low-range 4WD . New Rock mode for the Selec-Terrain 4WD system. 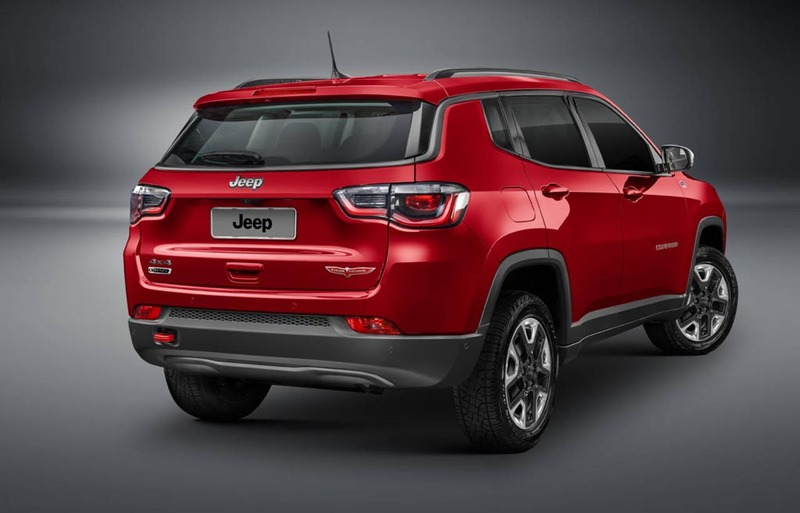 The Jeep Compass Trailhawk SUV gets 20 mm higher ground clearance compared to the standard model. Its front and rear bumper have been designed different focusing on off-roading duties. Gets Hill Descent Control as standard. All-black leather seats with ‘Trailhawk’ badging embossed on it. 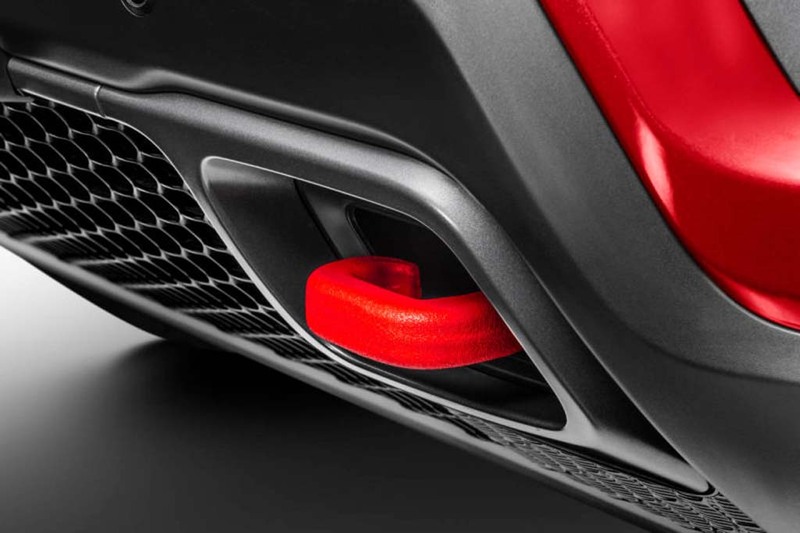 Red accents on the dashboard. The gear console, door panels and dashboard get a matching paint scheme as well. ‘Trailhawk’ badge on the boot lid ,anti-glare black hood decal, skid plate protection, fog lamp bezels, all-terrain 225/60 R17 rubber, Ruby Red tow hooks, silver ‘Trail Rated’ badge on front fenders, grey accents, etc. 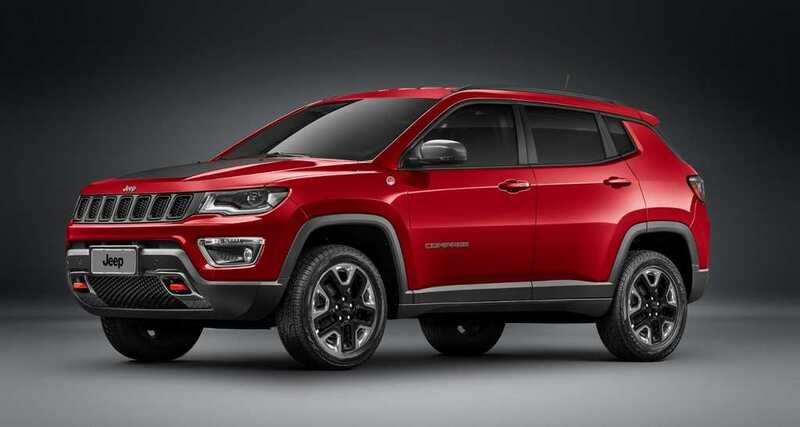 Currently the standard Jeep Compass price starts with a base Sport 1.4 petrol at Rs. 15.23 lakh and it goes all the way up to Rs. 21.94 lakh for the range-topping Limited (O) 2.0 diesel 4×4 (both prices, ex-showroom New Delhi). The new Trailhawk could cost around Rs. 25 lakh (ex-showroom, New Delhi).